PETALING JAYA (April 6): With more than 1.8 million Muslims around the world seeking for halal food and beverages and products, Malaysia will be hosting the World Halal Conference 2014 on April 9 and 10. 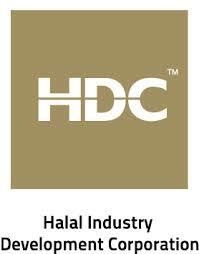 Organiser, Halal Industry Development Corporation (HDC) – an agency under the International Trade and Industry Ministry – expects to gather an audience of over 600 people to hear from distinguished panels made up of local and international speakers. During the two-day event, with a theme ‘Global Food Security – The Halal Perspective”, panelists are expected to delve into issues such as addressing the prevailing food security concerns and bridging the gap between supply and demand. To be held at the Kuala Lumpur Convention Centre, the annual conference is organised in conjunction with the World Halal Week 2014, aimed at bringing together all industry stakeholders into a single area to spearhead developments for the halal industry. They include manufacturers, international delegates, academicians as well as entrepreneurs. The panelists would comprise names such as Turkish Deputy Science, Industry and Technology Minister Prof Dr Davut Kavranoglu, Thailand’s Industrial Promotion Department director-general Dr Atchaka Sibunruang and the Philippines’ Department of Trade and Industry director of export marketing bureau Senen Perlada. Due to the Muslim population’s growing concern over food security, Economic Zone World of the United Arab Emirates senior vice president Adil Alzarooni, International Trade Centre of Switzerland programme officer Sadiq Syed and Thomson Reuters advisor for Islamic Finance, Halal Industry and OIC Countries Rushdi Siddiqui are also roped in to offer solutions to the issue. The conference will also address topics such as how integrity in the supply chain can be preserved, as well as sparking inspirations in halal research and innovation for food security. In addition, leading halal experts from the banking industry will also speak on developing a sustainable halal economy through the convergence of Islamic finance and the halal sector.